Miss Kourtney lives with her family in Centerlea, N.S. She attended Family Matters as a participant when her son was younger. After he started school, Kourtney joined our Family Matters team as support staff. 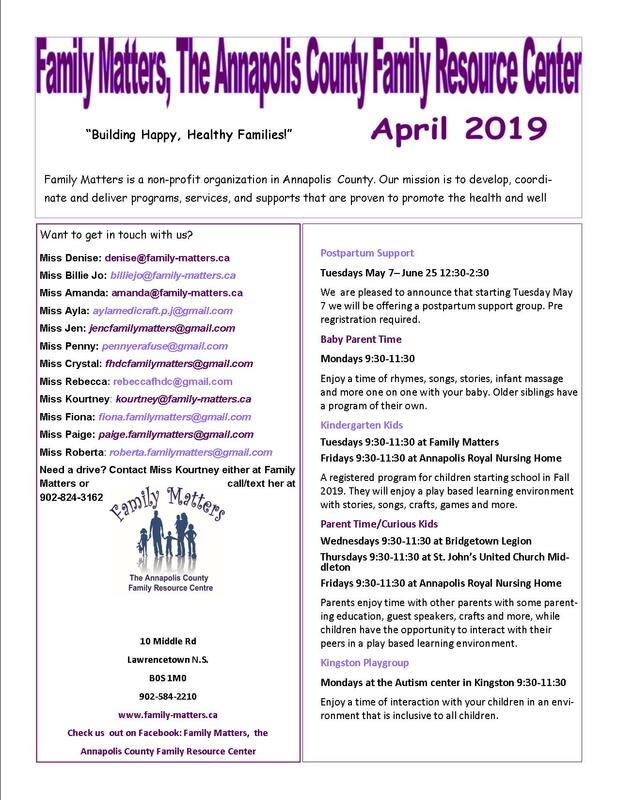 She is presently the Transportation Coordinator of Family Matters and can be found transporting to programs throughout the county in the Family Matters van. She also assists in many of our children’s programs.